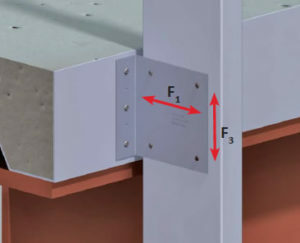 The bypass slab secure clip (AC) connects an exterior wall stud that bypasses the building structure through the use of a 90° angle. It is designed to resist horizontal and vertical loads, and has pre-punched guide holes in each leg for fast and easy installation. 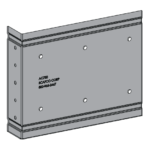 The AC may be attached to the structure with either an approved fastener or a weld, depending on the material properties of the structure and the proposed design. The allowable loads are based on the steel properties of the members being connected, per NASPEC with AISI S100-07/S2-10 supplement. Penetration of screws through joined materials should not be less than 3 exposed threads. Screws should be installed and tightened in accordance with the screw manufacturer’s recommendations. Allowable loads indicated on the table(s) are for force in single direction only. 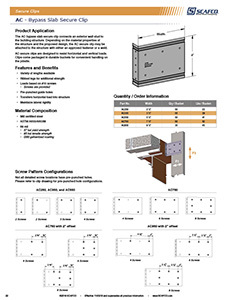 If more than one force is applied to the connection, the designer shall provide the combined forces check as required by NASPEC with 2004 supplements. It is the responsibility of the designer to check the bending in the short leg of this clip. Details above indicate screw locations. 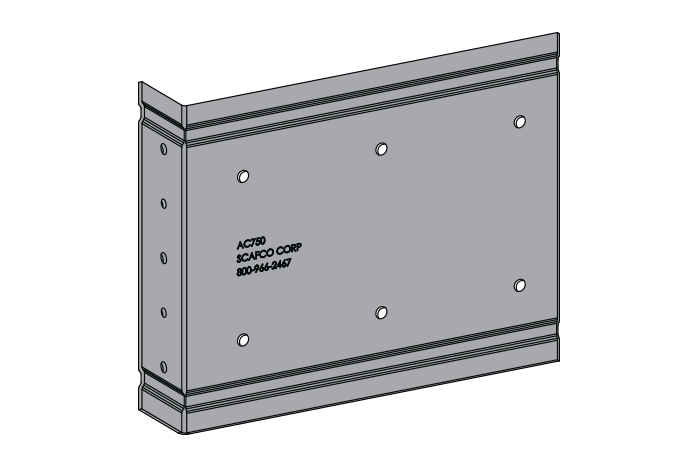 Not all screw locations will have pre punched holes, refer to product drawing. Note: Additional lengths available upon request.